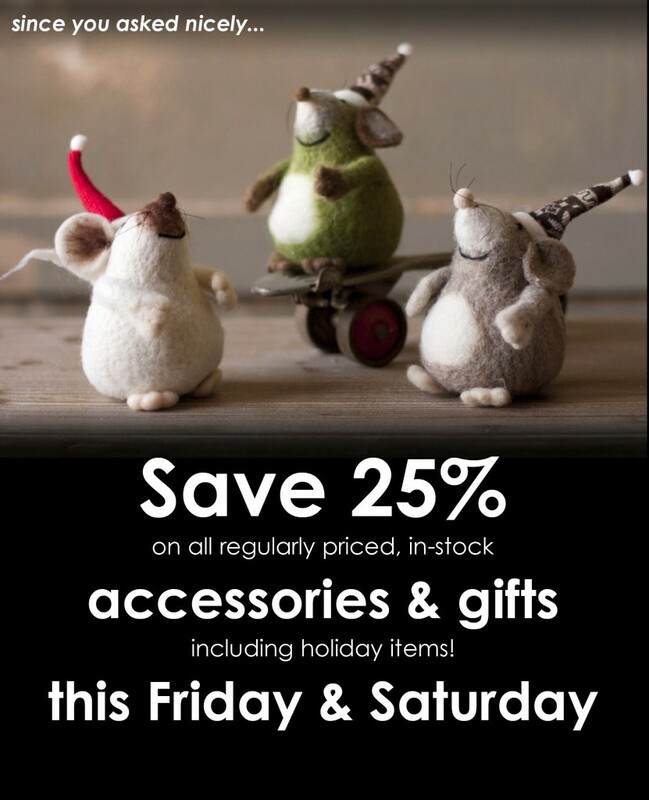 Join us at BeyondBlue for Black Friday shopping – enjoy 25% off your entire purchase of accessories and gifts, including our great selection of ornaments and fun items to decorate your home for the holidays! 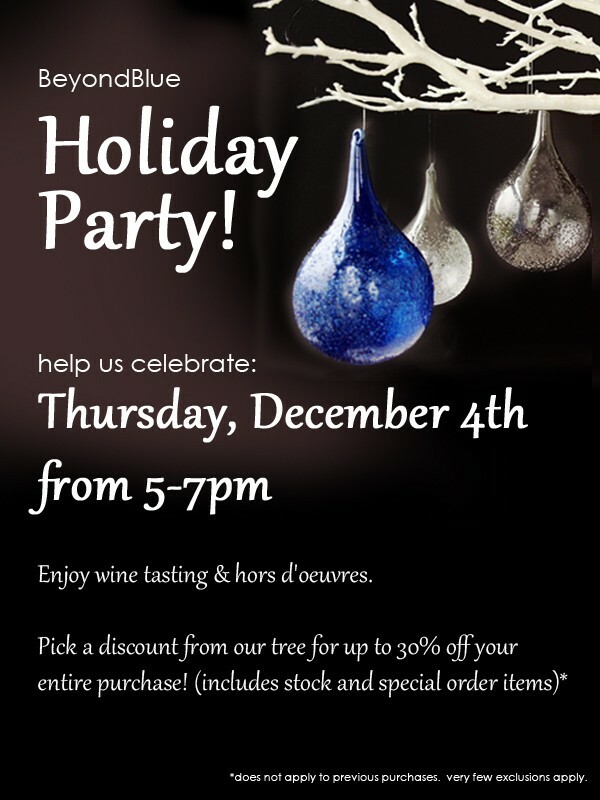 Please join us for our annual BeyondBlue holiday party on Thursday, December 4th from 5-7 pm. We’ll be welcoming in the holiday season with wine, prosecco, and goodies! 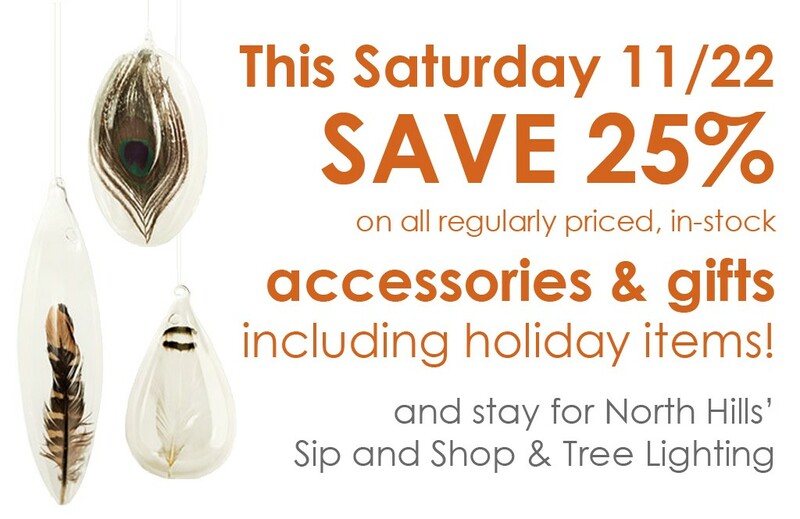 Enjoy shopping and then pick a discount from our tree for savings from 10-30% off your entire purchase.